Chronic lymphatic or CLL leukemia is the most common type among the different bone marrow cancers that affect older adults. If you're 40 years old or younger, you need not worry. The lymphatic type of leukemic disease is diagnosed mostly among those who are 60 years and above. Around 15,000 chronic bone marrow cases are diagnosed every year in the U.S. according to the National Cancer Institute. Occurrence of CLL in children is extremely rare. The deadlier type known as ALL is what affects kids. Since it grows slowly over the years, preventing its symptoms from worsening is the focus of treatment. Chronic lymphatic affects the lymphocytes -- commonly known as white blood cells -- especially the B lymphocytes. 95% of diagnosed cases involve the B-cells. If you have chronic lymphatic cancer, your lymphocytes are unable to perform their function of making antibodies and of fighting infection. According to experts, aging is the only known cause of CLL leukemia. They say exposure to harmful cancer-causing agents such as pesticides or insecticides and herbicides is only one of the probable . However, there is nothing wrong if you practice safety measures if you use any of these chemicals. Prevention is always better than cure, don't you think? Men and Caucasians have been found to be more likely to develop it. Since CLL develops slowly, it doesn't exhibit early signs and symptoms. They are usually felt or seen when the cancer has already spread significantly. It is easy to diagnose chronic lymphatic or CLL through a complete blood count or CBC test if you are aware of the symptoms. An unusual level of white blood cells or WBCs in the blood especially if you are above 50 can mean CLL. Chronic lymphocytic treatment is usually a combination of chemotherapy and targeted drug therapy (Rituxan and Campath). Treatment is primarily aimed at controlling it and its symptoms. 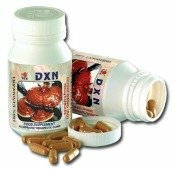 It focuses on prevention of the growth of cancerous cells and on relieving the symptoms. Since the chronic lymphatic type is considered incurable, doctors usually don't recommend treatment for early stage CLL. They will just monitor your condition for any significant changes especially on the symptoms. If your symptoms become so unbearable that they have a negative effect on how you live your life, your doctor will recommend any of the treatment options for CLL leukemia.